Spinning reels are the most commonly used reels in the world. Some of the reasons are they are cheaper than baitcasting reels and they are easy to learn. 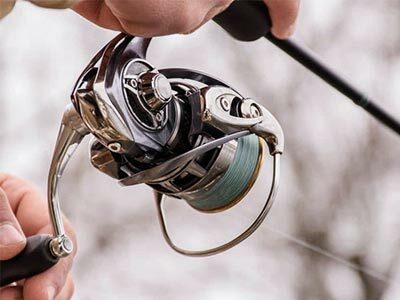 A spinning reel is a great tool on the water and adding the best fishing line for spinning reels can increase their performance. A high-quality line that is smooth and tough matches the reel capacity, provide visibility and level of sensitivity that suit your fishing conditions. Type of fish means a successful reeling, improved casting and a perfect day on the water. A poor line will mean wasting time dealing with problems like tangles, twists and losing lures. Before going out to the water, make sure that you have the right fishing line for your reel. Wondering which fishing line to use for a spinning reel? Here are the monofilament fishing line reviews that will help you in getting a fishing line that suits your needs. Diameter : 0.005 - 0.020 in. Diameter : .016 - .055 in. Diameter : .005 - .016 in. Diameter : .02 - .018 in. This line has excellent smoothness, and casting distance isn’t a problem. Its smoothness helps in resisting twists better. This fishing line combines the best craftsmanship and quality. It is a great monofilament fishing line suitable for going after big fish. 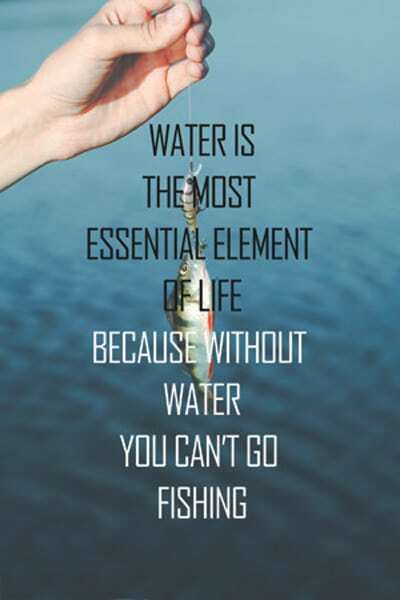 It is good for both salt water and fresh water. This line is designed to be super strong and ultra-smooth for fighting larger fish. You can use it for catching steelhead, bluefish, salmon and many more. If budget is the determining factor, you get an amazing amount of line at a lower price. This fishing line is made from sturdy nylon. It has a superior shock and impact resistance, making it the best option when targeting hard-hitting saltwater fish. It offers better hook setting power which allows you to keep fighting. Its high-tensile strength makes it durable and robust. This fishing line come in different sizes, colors, and strengths, giving you many options to choose from. With its tough design, it is suitable for hard saltwater angling activities. It is also suitable for trolling, spinning and casting. Its transparency and ultra-low visibility are helpful in preventing the fish from noticing it when fishing. This fishing line has outstanding smoothness. It means that it launches smoothly and casts far. It is strong and tough, giving you the confidence and control you need to catch large fish. The line has impressive wear, tear, and abrasion resistance. It doesn’t break or stretch badly when handing tough fights. For a monofilament, this line doesn’t have any memory. It doesn’t coil up quickly over time and resists kinks and twists. It has great sensitivity and it’s hard to feel strikes and structure. You can easily sense lure activity when it is underwater. This a 1,000-yard spool comes in different colors, strengths, and line capacities to meet different varieties of techniques, baits, and preferences. This monofilament line offers smooth casting when using a spinning reel. It is strong and tough and has good sensitivity and memory properties. This makes it easier to cast within a manageable way. It’s suitable for both saltwater and freshwater fishing, especially for salmon, bass, steelhead, and trout. This fishing line is made with high-density nylon. It offers excellent abrasion resistance. It is best when it comes to high strength knots. You can tie precise knot that doesn’t fail with ease. The DuraBlend is known for its low memory. It has a high tensile strength, therefore, the line doesn’t stretch. This fishing line won’t twist or bend. Its excellent tensile strength ensures that the line doesn’t stretch. This increases line sensitivity leading to better casting and smooth fishing experience. This line can be found in different strengths and colors, all designed for an excellent fishing experience. It is strong, thin and memory-free. The line is abrasion resistant and tough for all conditions. It can be used for bass fighting and last for long. Also, this line doesn’t dig into the reel. This monofilament line is made with Paralleled Roll Track Technology that grants it lower memory. This makes it easy to handle and cast. It has low water absorption, therefore, your line will be quicker to retrieve as there would be less limp. You can easily master different fishing techniques. Purchasing a poor fishing line for a spinning reel is a costly mistake and not just in terms of money. It will cost you enjoyment, success and time. So how do you pick the right line for your fishing technique, type of fish, reel and water conditions? When looking for a monofilament line, there are certain qualities you will be looking for. Depending on the fishing type, some of these qualities maybe crucial than others. For instance, jigging in deep waters require you to have a line with a low stretch for best hook sets and sensitivity. Whereas, when throwing a crankbait or topwater, you need a line with high stretch to offer a little delay in the hookset. Diameter is usually given in mm or inches and it is the width of the fishing line. In general, the smaller the fishing line diameter, the better. However, can’t go for the smallest diameter line and neglect knot, abrasion resistance, stretch, pound test/strength etc. A decision must always be made on the balance between all the aspects of a monofilament line. You have to give up one aspect to get another. A fishing line might be the most crucial when selecting a fishing line since it impacts a lot on the fishing experience. Testing lines involve rating them by how much weight that can be exerted on it before snapping. You won’t need a higher pound test if you are looking for small to low-fighting fish like panfish and crappie. But if you want to catch strong and heavy fish, you need a higher pound test. If you don’t know what pound test and strength you need, you can match the pound test rating to the weight of the fish species that you want to catch. Consider leaning on the upper weights of the fish. Setting the drag correctly and learning how to fight a fish have an impact on the line you choose. Fewer line breaks are seen with weaker lines if you drag in a correct manner. Also, a fishing line won’t snap that easily if you pull the fish away from you or when you pull a fish up from deep water or a drop. A fishing line will tend to snap by snagging the hook in rocks, foliage, wood etc. You will expect a flexible and high stretch fishing line to bend instead of breaking and absorb shock better. This is what is called “line forgiveness”. But if your line has too much stretch, it may affect the hooksets negatively without having the sensitivity between the lure and rod tip. Another thing to consider when it comes to line stretch is how you plan to fish. Will, you drop the bait below your boat and wait for a bite? If that’s the case, then you need a line with a high level of sensitivity and that means you need a line with low stretch. But if you are ripping the topwater baits across the water, then you won’t need a sensitivity factor. You might need a line with a higher stretch for you to handle the strike’s shock. As you use different lines, you will find the one that is more conducive to your method of fishing. You might need a line that provides a better balance of stretch and rigidness. When simply put, a high memory line is bad and a low memory line is good. A line with high memory is hard to cast with and is likely to tangle your reel or rod. Instead of sinking, it will float and twist above the water where weight doesn’t hold it down. Also, you will be prone to bird nests when casting. Although many monofilament lines come with memory from the original package, the weight exerted from the fish and lure on the end loosen it out with time. You might want a line that is almost invisible. Different fishing lines come in a clear color to suit different fishing water types. It gives you a more versatile line for different water clarity and bodies of water. 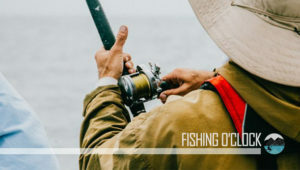 There are cases where a high-visibility line or bright colored line allow ice or deep water fishermen to watch the line for bites or movements. Many people use a monofilament fishing line because they simply like it. It is what they are familiar with and what they have used. However, there are technical reasons why you might want to use monofilament lines for spinning reel instead of braided or fluoro fishing lines. A monofilament fishing line is best for exceptionally clear water. Apart from fluorocarbon, mono is almost invisible under water. That’s because a monofilament line is made out of a mono strand of nylon and is translucent. Braided line is made up of about 4-8 different strands braided together to form one line. Monofilament makes better and stronger knots than a braided fishing line. A good fishing knot can make a huge difference in fishing experience. Monofilament line locks down on itself when it is tied into a knot, while a braided line has a slick surface. Using a braided line would mean that you need to learn some of the new knots that will work with braid. Monofilament line usually stretches more than other fishing lines. It has a lot of elasticity and it means that it will stretch under pressure. A stretch or elasticity is a good thing. A stretch acts as an absorber and it will take some of the pressure off the knots. It might also take some pressure off of some weak spots in the line. This could mean the difference between catching a fish and losing a fish. For more information, check our list of the best fluorocarbon fishing lines and braided line reviews. Finding the best monofilament line for saltwater fishing can greatly influence your fishing experience. Here are some of the factors that will help you pick the right fishing line for saltwater fishing. A given monofilament line diameter caters for a given fishing need. If you want to catch bigger fish, then probably you will have to go for a thicker line. A thicker line is strong enough to catch bigger fish and can withstand the fight without snapping. You need to ensure that you have an invisible fishing line. Most lines come in a wide variety of colors. A clear color works great for clear waters. If the waters are not clear, there are other colors you can consider. Blue and green shades will work for many fishing conditions. Tensile strength is one of the crucial factors that must be considered when fishing. The type of fish you intend to catch will determine that. You need a stronger line to catch a bigger fish or else it will snap. If you go for medium and smaller fish, then it’s affordable to go for a line with lower shock strength. The degree of your fishing line’s stretch you go for depending on the type of fish. In saltwater fishing, you need a line with low stretch to catch the violent fish. You should understand that monofilament lines don’t last forever. However, durable ones can last longer and cost more. For saltwater fishing, consider going for a durable and sturdier line. It works better when catching bigger and violent fish and in rougher seas. Monofilament is more flexible and softer than braid and therefore, it is more forgiving on your hands. It’s also conducive to rapid rigging as it doesn’t require fancy tools to cut. Monofilaments have low memory and high stretch. It will give you what you need to fight a fish without tearing a huge hole in the mouth of a fish or getting jerked. When pressure is released, the line will go back to its original form without a trace that it had stretched before. This means that monofilament will take more beating a still maintain its strength. If this is crucial to you, you might want a heavy leader top shot or a wind-on leader. Monofilament absorbs water and it remains neutrally buoyant. It is great for working topwater lures and also for not messing up the action of other lures with different sinking rates. Monofilament has been used for many years and the way it is being made has been perfected with time such that nowadays you can get a high-quality product at a reasonable price. Some monofilaments are made by mixing some different polymer pellets and then extruded, stretched and cooled leading to the highly efficient fishing line. Not only does monofilament easy to tie knots but also have the strength to hold these knots when it is required. Braided lines can last for several years if you store them correctly. However, monofilament lines have a shelf life. This means that even if you haven’t used it for long, it might not be good for your next fishing trip. An unused line can be stored for about 2-3 years. But once you start using it, several factors will affect how long it can be used. These lines usually have an issue with line memory. If a fishing line is left in the reel for a long time without changing it, abrasion and stress cracks from fighting fish will make the line weak and compromised. When it comes to changing your filament, it depends on how frequent you go fishing. If you fish more frequently, try changing your line every once or twice a year. This will ensure the best amount of dependability. What is a mono fishing line? 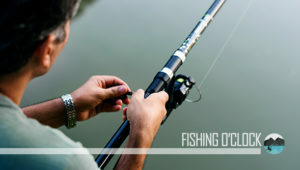 A mono fishing line consists of one single strand. There are multifilament lines made up of several lines fused or braided together. What is a mono fishing line made of? Monofilament fishing lines are made from different materials. Many lines are made of nylon. Nylon is affordable and very practical. Usually, different nylons are melted and combined to produce a blend that features different degrees of strength, stretch and abrasion resistance. Some monofilament lines are made from Dacron, polypropylene, fluorocarbon, and polyethylene. They can last longer than nylon lines. What is a monofilament yarn? Monofilament lines are made from synthetic fibers. They are either treated with a solvent or melted so that they are in liquid form. In this liquid form, they are squirted through small holes in a spinneret and then left to cool. They are turned into long rods called monofilament yarn. Yes, they float in water. That’s why they are preferred by most anglers over fluorocarbon and braided lines. Is fluorocarbon or monofilament better? There is no single answer to that. Both lines can be used to suit different needs and some factors can affect your choice. Fluorocarbon is more expensive than nylon monofilament lines. However, many anglers prefer it due to its invisibility. It is stronger and has greater abrasion resistance which makes it great for fishing around rocks. It also has a thinner diameter that doesn’t absorb water like nylon. Nylon doesn’t sink and it’s the best option when catching fish off the water surface. It stretches more than fluorocarbon. This line is better when you want to tie knots. Check out the monofilament vs fluorocarbon fishing lines comparison for a deeper understanding. What pound fishing line should I use? The strength of a monofilament line is measured in pounds. Depending on the type of fish you intend to catch, you will require different strengths. The strength of a fishing line is called test. Any spool of a monofilament line has a label with the test. It refers to the stress and pressure that the line can withstand without snapping. Even experienced anglers struggle with choosing the right pound test. Some factors are vital to consider. You should determine the target species and the exact fish. Also, pay attention to weather conditions. What length of a line should I put on a spinning reel? 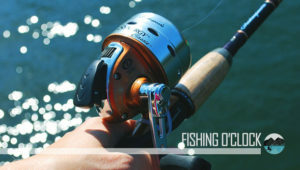 The size of the line you put on a fishing reel depends on the fishing conditions. For freshwater fishing, consider 150 yards of line. For saltwater fishing, you will need more line that can go up to 200 or 300 yards. What is the strongest line I can buy? Most synthetic fiber can withstand stress and pressure but you need a line that works best for your fishing needs. Make sure to also check out our homepage for a closer look at the top-rated fishing reels! 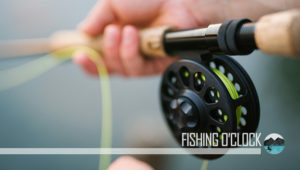 While it’s important for you to experience a huge variety of fishing line and learn which product is the best, the above fishing line for spinning reel reviews will help you get the one that suits your needs. There are a lot of fishing lines that might suit your needs. They have a smaller diameter. It will make it work well with spinning reels, especially when it comes to casting. While monofilament fishing lines have a small diameter, it will still have enough strength. Choosing the best monofilament fishing line depends on how frequent you go fishing. If you go fishing on a weekly basis, consider a high-quality monofilament that can last longer and you won’t have to it more often. If you only go fishing for some few months in a year. Consider low-cost monofilament lines. A fishing line is one of the key items of fishing and getting a high-quality fishing line for your spinning reel might be a good investment. Consider getting the right fishing lines that will suit your needs by offering durability, low visibility, and suppleness.